Amsterdam is one of those global cities that has an endless supply of souvenirs. Of course you can find al your typical memorabilia in Amsterdam such as lighters, hats, bags, mugs and so on. But the city also has many typical Amsterdam souvenir products and you will find the best ones on this page. The center of Amsterdam is packed with souvenir shops. The largest are located in the area from Central Station to Dam Square. Even though you should not expect a Patek Phillipe level of attention, the souvenirs sold in Amsterdam are actually of very good quality and will stay with you for years to come. Every shop offers more or less the same souvenirs. With paintings like The Milk Maid by Vermeer and The Nightwatch by Rembrandt, one of Amsterdam’s strongest points was and will remain to be art. 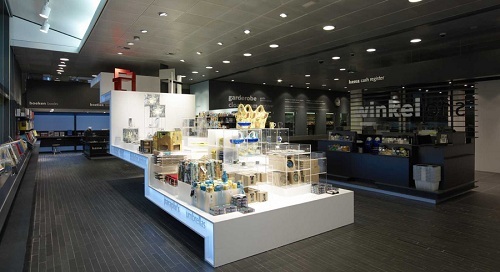 The main museums, Rijksmuseum and Van Gogh Museum, both have top of the line museum shops. You can get a perfect souvenir here in the form of a replica painting, exclusive art books and more regular stuff like pens and lighters. 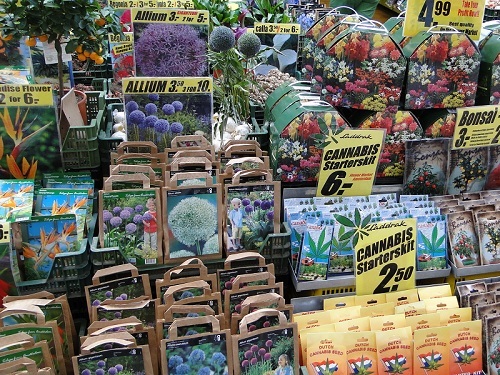 One of the most unique tourist attractions in Amsterdam is the Flower Market. 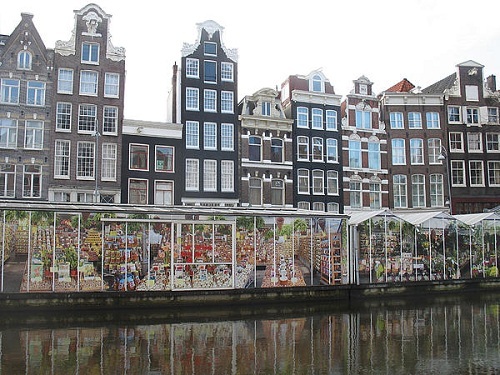 This is the only floating Flower Market in the world. It is located on the Singel near the Munt tower. The Flower Market obviously has a great selection of typical Dutch flowers. It is also a great place to go souvenir shopping. Many of the flower stalls also sell a large variety of souvenirs for good prices. Nearly all souvenir shops have a selection of Amsterdam t-shirts and hoodies. Designs range from a simple logo to plays on Amsterdam’s various unique aspects. They go for anywhere between €5 to €25. If you’re looking for the biggest selection of Amsterdam shirts and gear around it’s best to go to amsterdamclothing.com where you can buy your Amsterdam souvenir online. The Netherlands is known for its various cheeses and this is reflected in the offerings in Amsterdam’s souvenir shops. One of the local favorite cheeses is Old Amsterdam. 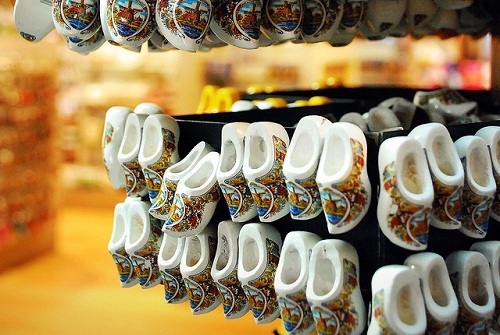 Clogs come in many shapes and sizes. From the authentic wooden variant to the more generic in house furry clogs. Clogs are also featured in ceramics, keyhangers and the like.